Greetings! 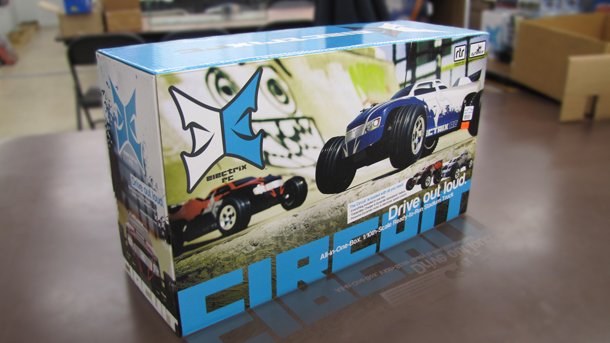 You can read the entire review for the new Electrix "Circuit" from Horizon Hobby. Either look for the "Editorial" tab on the navigation bar up top, and then click on "From Behind the Counter", a new blog with opinions and viewpoints from the retailer side of things. Or you can click here. Also of note, the new Blade 120 SR is shipping in, and should be on the shelf by Friday. I'll be posting a short review of those as soon as I can, but I still haven't gotten my hands on one yet. That's all for today. Go check out that review!